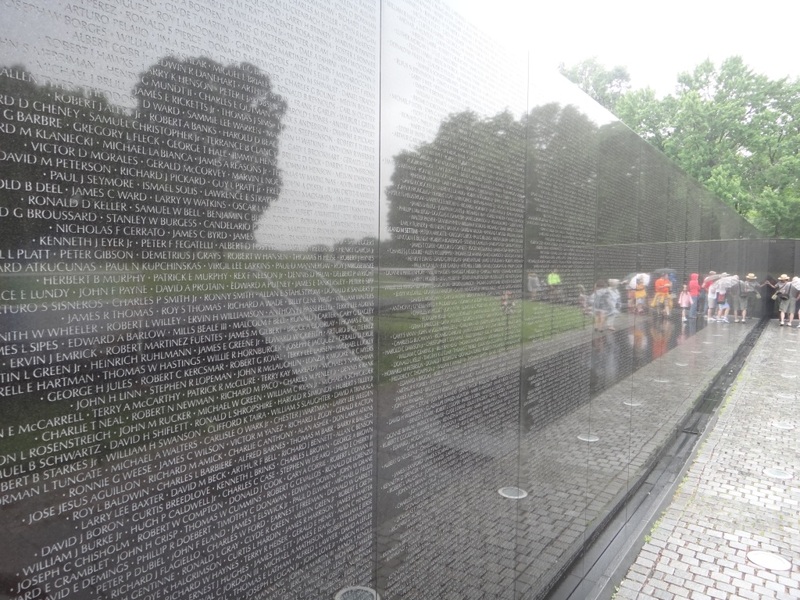 Photograph 1 - The Vietnams Veteran's Memorial, Washington DC. 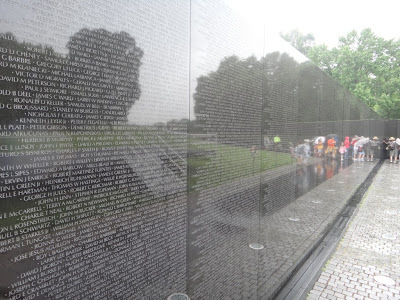 Many thousands of names of American servicemen who died during that conflict. 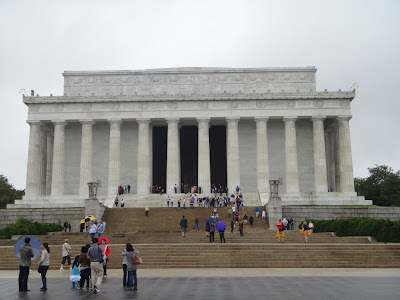 Photograph 2 - Lincoln Memorial, Washington DC. Wasn't this the final scene in one of the Planet of the Apes saga??? 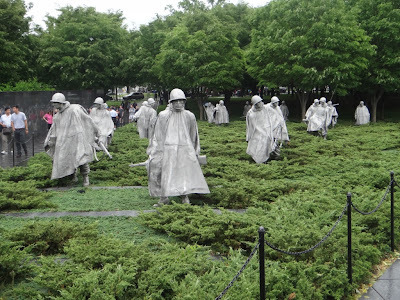 Photograph 3 - Korean War Memorial, Washington DC. 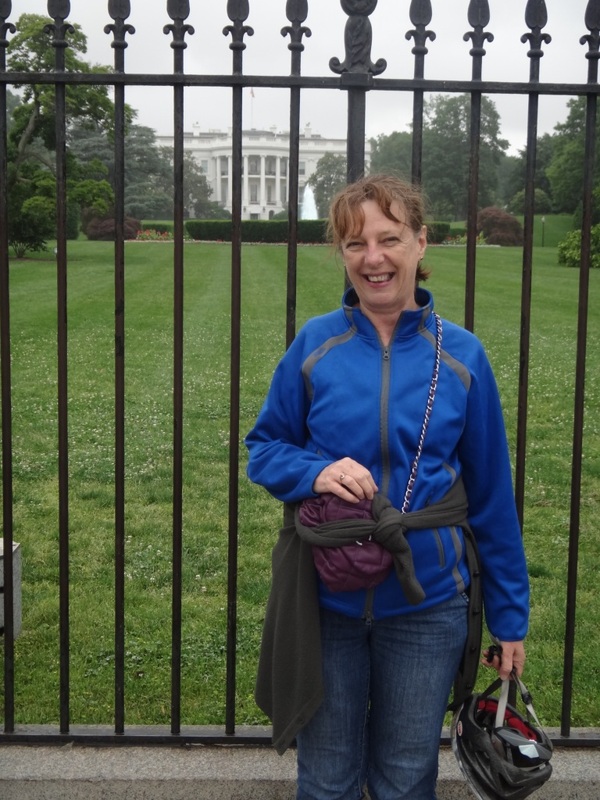 Photograph 4 - Anne in front of the White House, Washington DC. 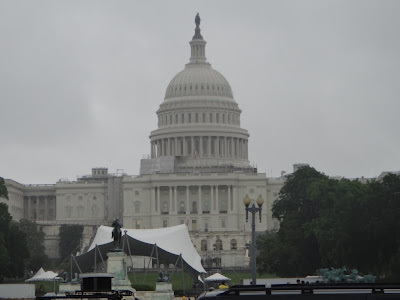 Photograph 5 - Capitol Hill, Washington DC. 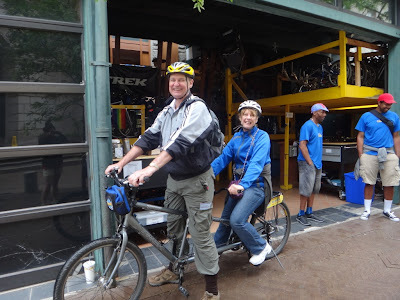 Photograph 6 - Returning our tandem pushbike. 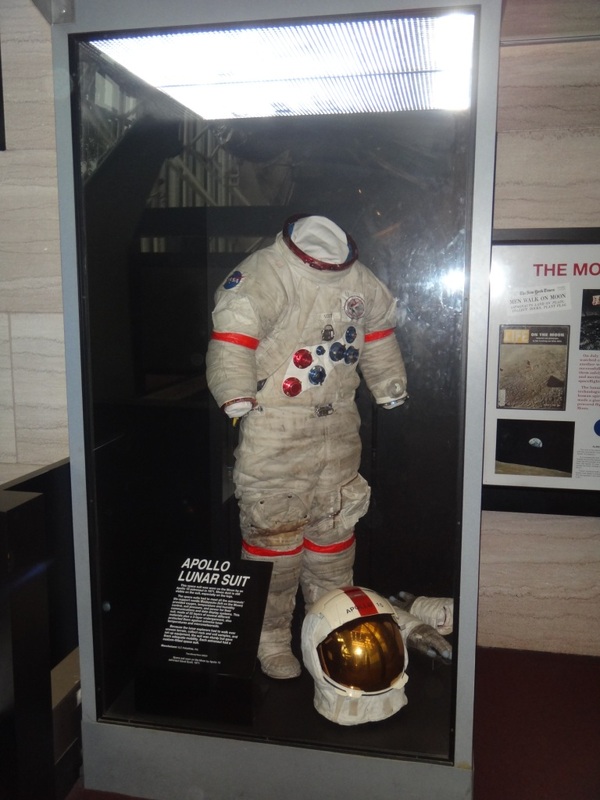 Photograph 7 - Astronaut John Scott's Apollo 15 space suit, inside the Smithsonian NASA Museum. 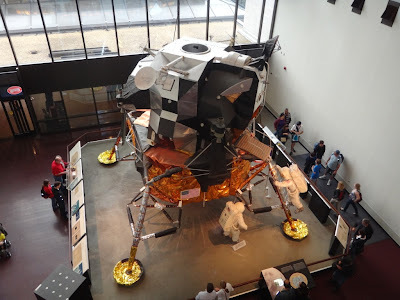 Photograph 8 - The cancelled Apollo 18's Lunar Module inside the Smithsonian NASA Museum................................................................................................................................................................................................................................................................................................................................I did it!!! I managed to convinced Anne to hire a tandem push bike and pedalled along the National Mall, Washington DC. 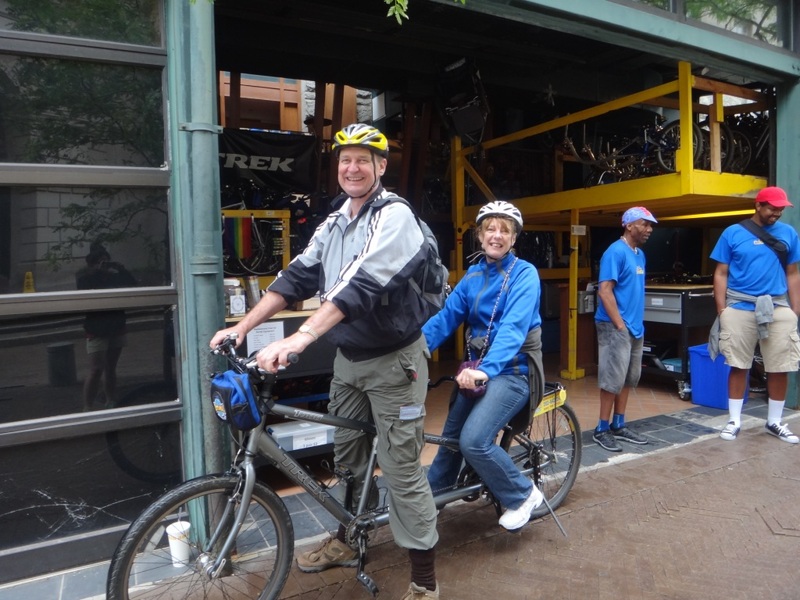 It was fun and was Anne's first time on a pushbike since she was 16 years old - a remarkable achievement. It was a miserable day by weather standards - drizzling and overcast. Nevertheless this did not interfere with what we wanted to do. The rain was light enough for us to stay outdoors without causing us to be wet. We had an American breakfast in our B&B along with four "froggy" guests ...sorry I should say French people. Arrogant and who refuse to speak English when they can in front of other couples was the vogue. There were four other American guests who were polite and just as annoyed as we were. After breakfast we walked to the bike hire depot near the National Mall and pedalled for two hours visiting the Lincoln Memorial, Vietnam Veteran's Memorial, Korean War Memorial, World War 11 Memorial, The White House, Capitol Hill, Washington Monument and past all the Smithsonian Museums along the National Mall. To walk this would have taken us many additional hours and wear out a pair of shoes, however the bike ride was easy and much more convenient. In all I calculated that we rode approximately 10 kilometers. After handing back our two-wheeled machine we walked to the Smithsonian NASA Museum and viewed an excellent arrangement of Space and Air exhibits. 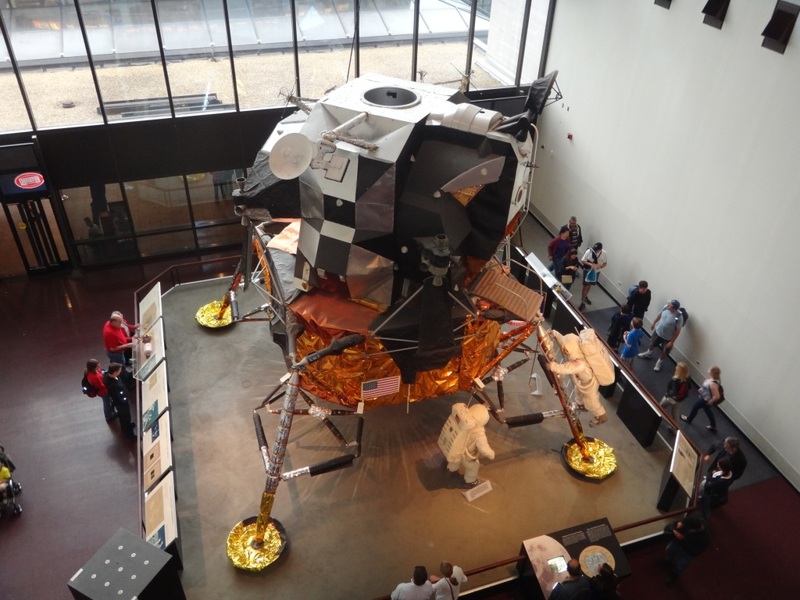 We touched a moon rock, saw actual capsules that pioneered space exploration and other fascinating exhibits. The Spirit of St Louis was there, the Wright Brother's contraption, Steve Fosset's balloon capsule and the Apollo 11 re-entry capsule - wow!!! After that we crossed the National Mall to visit the Museum of Natural History. After we had finished with this museum it was about 4:30pm and decided to walk back to our B&B. On the way we walked past the National Archives. Since Neil's great-great grandfather was an American "James Henry Bagley" who arrived in Australia in the early 1850's from New York tried to find any information they may have. In such a short visit it was impossible to collect any quick data. For Anne, there vwas a descendant who was caught up in the Phillippines during WW2 and died there under Japanese occupation. Apparently any records that may exist of Bess Carter lie with American archives. This repository may hold some answers for Anne. What we have done is registered with this department and now have a conduit to their records for future research. Well that's it for today, tomorrow we may visit the Arlingtom Cemetery. the highlight there is to visit the gravesites and memorials of famous Americans - such a J.K.K etc. Until tomorrow.... cheers.